Selecting the best electrical service professionals isn’t always an easy task. There are many available, and it can be challenging to narrow your search down to the best candidates. You might feel pressure to make a decision quickly, but doing your homework is highly recommended. Hiring the wrong electrical expert can lead to lots of frustration, as well as wasted time and money. Be sure to ask the important questions before deciding on a hire. Is the Electrical Service Covered? Even if they come with a big discount, you never want to work with electrical professionals who aren’t licensed and insured. Taking this measure will ensure your hire has proper training for the job and you won’t find yourself stuck with substandard results. Insurance is necessary as well since accidents are not always avoidable. Unforeseen damages can easily occur on the job site, and if your electrical experts aren’t insured, you could be stuck with the stress — not to mention extra costs. Are the Electrical Experts Specialists? It might not be enough to have a licensed and insured professional. They still might not have experience with your particular situation. Find out if they’ve dealt with jobs like yours before, and if they can offer insight that might help you finish things ahead of schedule and under budget. If they specialize in a particular area, be sure it’s related to the job you need! If it’s a big project, make sure they’ve worked on large scale contracts before adding them to your team. You don’t want your electrical professionals to get in over their heads while on the job. 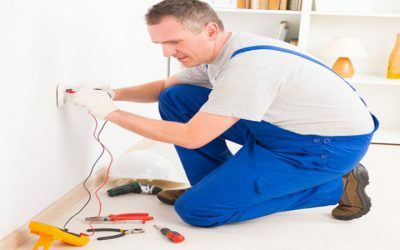 Will the Electrical Service Professionals Offer a Warranty? It’s a bonus if the work performed is under warranty, as there is no telling what might happen down the line. If issues arise after work is complete, having electrical service professionals you can call on to address the problem is of critical importance. Beyond giving you valuable peace of mind, this can help ensure the work meets standards of safety and quality. When you consider how dangerous electrical work can be, this becomes even more important. Electrical service professionals should be reliable enough to let you focus on other aspects of the job while they work. Seek a company that has extensive experience serving customers in your area and a proven track record for success. You can tell a lot about a company by reading online reviews and testimonials from other customers. In addition to that, any reputable electrical contractor should be open to answering any questions you may have. If you’re interested in learning how Bryan Electric, Inc. can help you with your upcoming project, feel free to call our electrical service professionals at (770) 680-2144 today! We’ll answer any inquiries you have.